I love the holidays and I especially love to travel, but the thought of flying anywhere around the holidays makes me crazy. The airlines know that people want to go home, so guess what? Of course, they raise the prices. You don’t have to pay full price for a holiday flight. If you are a planner like me, then I suggest buying your ticket early. 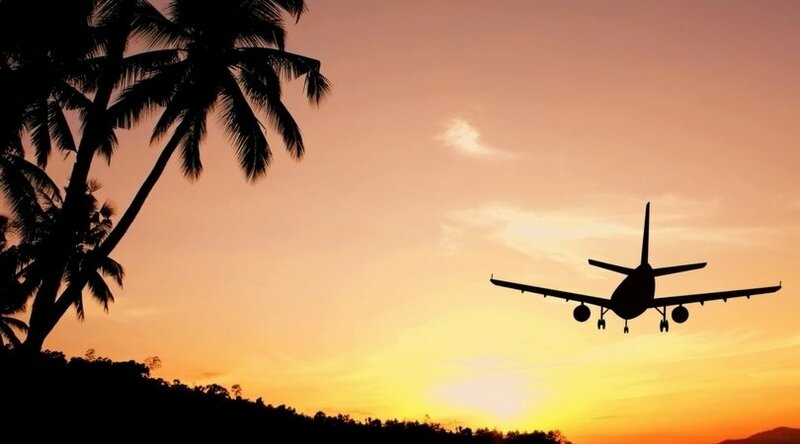 You are more likely to get a cheap holiday flight when you buy in advance, then when you buy last minute. While this may take a bit planning, it still is ensuring that you pay the cheapest price for a ticket. This website is new to me, but looks promising. CheapAir tells you when the best days are for buying airplane tickets. It’s full of tips and tickets. You can search for flights, hotels, and even cars. It even has a part of the website that tells you what the average ticket is for that day! While I typically do not travel long distance over the holidays, common sense says to be flexible with your travel dates. If you’re stuck with traveling on certain days, you are going to pay a lot more money. This is especially true if you are trying to travel on the weekends. Also, skipping traveling on the actual holidays helps. Try to avoid traveling on actual Thanksgiving or Christmas to avoid paying top dollar for a plane ticket. If you’re willing to travel a bit to get to the airport, then don’t just go with the first one you find. Check the different airports. For example: you may have to travel 2 hours to get to the airport, but it could be a $200 price difference to go this route. Sure, using other websites for searching for that cheaper price may seem like a good idea, but you may strike a better deal by going to the actual airline’s website. Sometimes the airline throws specials and deals that you won’t be able to find anywhere else. Before you hit the “buy” ticket, do your research. Those sky miles really do add up! I personally look at all avenues before I buy any holiday airplane tickets. Sometimes the prices go up for no reason. Make sure you try these avenues before clicking BUY this holiday season. Have you purchased your holiday airfare yet? What tips can you share? LifeFamilyFun is always in search for the best travel tips, family fun, and new adventures! Reach out to us for your next travel story! Thanks for this article! Always looking for ways to save money, especially during the holidays! I always use miles on my credit card! Yes, we’ve booked our flight to Mich. on Southwest. We opened up a new Southwest Visa credit card that gave us enough points for our annual trip to Mich. for Christmas to see our family! I have learned that yes book through the airline. Not near he fees or hassle if you miss a fight. Thanks for the great info. it always helps to have the knowledge to possibly find some better deals and save a few dollars. These are great tips! Thank you for the article! Great tips thank you I will stop do it at the last minute. i was looking at the real lat week and they were talking about how expensive flights can be in holiday season. i am so glad that you made this article. we def can use it. These are great tips! My sisters are coming to visit us from Hawaii, and they flew into an airport that is 3 hrs away from our current base. I told them they could only do this if it was going to save them a ton of money :). Great tips. I need to know this since I live so far from family. Great tips!! Thanks for the information. Super helpful post! I use miles on my card whenever I fly. Great tips! We hope to try to get out to Texas to see my sister. This will come in handy! Great, these are good tips to let me know how to handle my flights this holiday and other times also. Thanks for sharing. Thanks for sharing your great tips! Airfare can definitely be outrageous, and we are planning to take a trip soon, so your tips will come in handy!